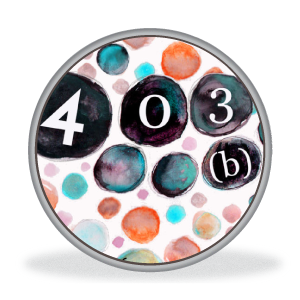 Some employers offer 403(b) plan participants the opportunity to make Roth 403(b) contributions. If you’re lucky enough to work for an employer that offers this option, Roth contributions could play an important role in maximizing your retirement income. There’s an overall cap on your combined pretax and Roth 403(b) contributions. In 2017, you can contribute up to $18,000 of your pay ($24,000 if you’re age 50 or older)1 to a 403(b) plan. You can split your contributions any way you wish. For example, you can make $10,000 of Roth contributions and $8,000 of pretax 403(b) contributions. It’s up to you. But keep in mind that if you also contribute to a 401(k), SIMPLE, SAR-SEP, or another 403(b) plan, your total contributions to all of these plans–both pretax and Roth–can’t exceed $18,000 (plus catch-up contributions) in 2017. It’s up to you to make sure you don’t exceed these limits if you contribute to plans of more than one employer. If you also participate in a Section 457(b) plan, any pretax contributions you make to the 457(b) plan are in addition to your 403(b) contributions. This means you can contribute up to $18,000 of pay, Roth or pretax, to the 403(b) plan and an additional $18,000 pretax to the 457(b) plan in 2017 (plus catch-up contributions)–a significant savings opportunity. Can I also contribute to a Roth IRA? 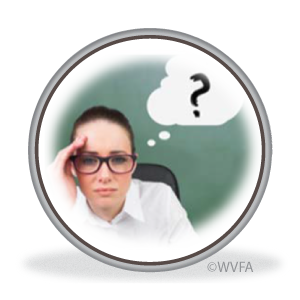 Should I make pretax or Roth 403(b) contributions? When you make pretax 403(b) contributions, you don’t pay current income taxes on those dollars. But your contributions and investment earnings are fully taxable when you receive a distribution from the plan. In contrast, Roth 403(b) contributions are subject to income taxes up front, but qualified distributions of your contributions and earnings are entirely free from federal income tax. Roth contributions could play an important role in maximizing your retirement income. 1 Special Section 403(b) catch-up rules may also apply. 2 If you have both a traditional IRA and a Roth IRA, your combined contributions to both cannot exceed $5,500 ($6,500 if age 50 or older) in 2017. The better option depends on your personal situation. If you think you’ll be in a similar or higher tax bracket when you retire, Roth 403(b) contributions may be more appealing, since you’ll effectively lock in today’s lower tax rates. However, if you think you’ll be in a lower tax bracket when you retire, pretax 403(b) contributions may be more appropriate. Your investment horizon and projected investment results are also important factors. A financial professional can help you determine which course is best for you. 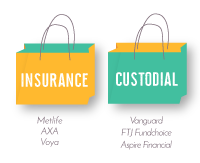 The five-year waiting period for qualified distributions starts with the year you make your first Roth contribution to the 403(b) plan. For example, if you make your first Roth contribution to your employer’s 403(b) plan in December 2017, then the first year of your five-year waiting period is 2017, and your waiting period ends on December 31, 2021. But if you change employers and roll over your Roth 403(b) account from your prior employer’s plan to your new employer’s plan (assuming the new plan accepts Roth rollovers), the five-year waiting period starts instead with the year you made your first contribution to the earlier plan. If your distribution isn’t qualified (for example, you receive a payout before the five-year waiting period has elapsed or because you terminate employment), the portion of your distribution that represents investment earnings on your Roth contributions will be taxable and subject to a 10% early distribution penalty unless you’re 59½ or another exception applies. Your employer can match your Roth contributions, your pretax contributions, or both. But your employer contributions are always made on a pretax basis, even if they match your Roth contributions. That is, your employer’s contributions, and investment earnings on those contributions, are not taxed until you receive a distribution from the plan. 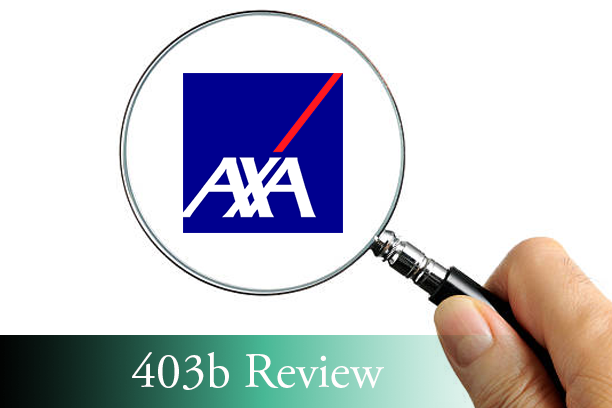 Like pretax 403(b) contributions, your Roth 403(b) contributions and investment earnings can be paid from the plan only after you terminate employment, incur a financial hardship, attain age 59½, become disabled, or die. You must begin taking distributions from a Roth 403(b) plan after you reach age 70½ (or after you retire if later). But this isn’t as significant as it might seem, since you can generally roll over your Roth 403(b) dollars (other than RMDs themselves) to a Roth IRA if you don’t need or want the lifetime distributions. 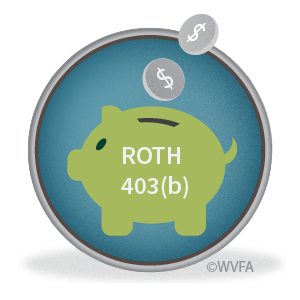 Employers aren’t required to make Roth contributions available in their 403(b) plans. So be sure to ask your employer if it is considering adding this exciting feature to your 403(b) plan. *Special Section 403(b) catch-up rules may also apply. Depending on the specific type of 403(b) plan, contributions may be made by the employee, the employer, or both the employee and employer. 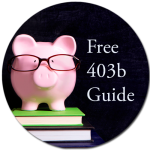 Many 403(b) plans are similar to 401(k) plans: you elect either to receive cash payments (wages) from your employer immediately, or to defer receipt of all or part of that income to your 403(b) account. The amount you defer (called an “elective deferral”) can be either pretax or, if your plan permits, after-tax Roth contributions. Employer contributions, if made, may be a fixed percentage of your compensation, or may match a specified percentage of your contribution, or may be discretionary on the part of the employer. 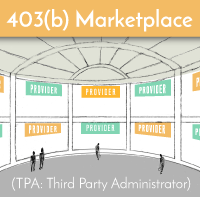 One unique characteristic of 403(b) plans is that your employer is allowed to make contributions to your account for up to five years after you terminate employment. In general, if any employee is eligible to make elective deferrals, then all employees must be allowed to do so. This is called the “universal availability rule.” However, your employer can exclude certain groups of employees from participation (for example, employees who normally work less than 20 hours per week, or who are eligible under another deferral plan–for example, a 401(k) plan–of the employer). Your employer may also require that you attain age 21 and/or complete up to two years of service before you’re eligible for employer contributions. Some 403(b) plans provide for automatic enrollment once you’ve satisfied the plan’s eligibility requirements. For example, the plan might provide that you’ll be automatically enrolled at a 3% pretax contribution rate (or some other percentage) unless you elect a different deferral percentage, or choose not to participate at all. If you’ve been automatically enrolled in your 403(b) plan, make sure that your assigned contribution rate and investments are appropriate for your circumstances. You can defer up to $18,000 of your pay to a 403(b) plan in 2017. If your plan allows Roth contributions, you can split your contribution between pretax and Roth contributions any way you wish. Unlike 401(k) plans, employee elective deferrals to 403(b) plans aren’t subject to discrimination testing (which in 401(k) plans can often significantly limit the amount higher-paid employees can defer). If your plan permits, you may also be able to make “catch-up” contributions to your account. You can contribute up to an additional $6,000 in 2017 if you’ll be age 50 or older by the end of the year. If you have 15 years of service with your employer (even if you haven’t attained age 50) a special Section 403(b) rule may also allow you to make annual catch-up contributions of $3,000, up to $15,000 lifetime. If you’re eligible for both rules, then any catch-up contributions you make count first against your 15-year $15,000 lifetime limit. When you make pretax 403(b) contributions, you don’t pay current income taxes on those dollars (which means more take-home pay compared to an after-tax contribution of the same amount). But your contributions and investment earnings are fully taxable when you receive a distribution from the plan. In contrast, your after-tax Roth 403(b) contributions are subject to income taxes up front, but are tax free when distributed to you from the plan. And, if your distribution is qualified, then any earnings are also tax free. 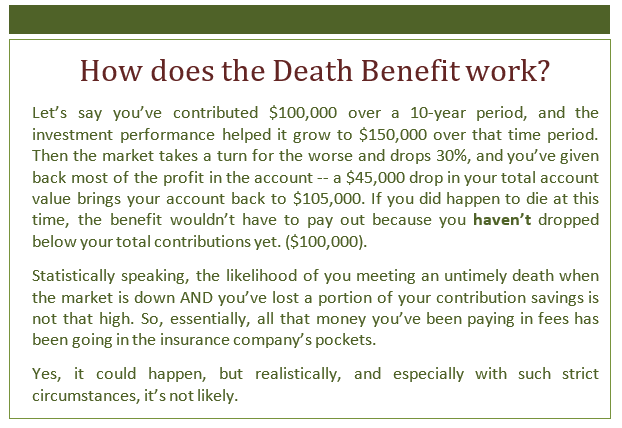 In general, a distribution from your Roth 403(b) account is qualified only if it’s made after the end of a five-year waiting period, and the payment is made after you turn 591/2, become disabled, or die. If your distribution is nonqualified, then you’re deemed to receive a pro-rata portion of your tax-free Roth contributions and your taxable earnings. Your employer’s contributions are always made on a pretax basis, even if they match your Roth contributions. That is, your employer’s contributions, and any investment earnings on those contributions, are always taxable to you when you receive a distribution from the plan. If you receive a payment from your 403(b) account before you turn 59 1/2 (55 in certain cases), the taxable portion may also be subject to a 10% early distribution penalty, unless an exception applies. In general, you can’t withdraw your elective deferrals from your 403(b) until you reach age 59 1/2, become disabled, or terminate employment (deferrals to annuity contracts prior to 1989 aren’t subject to these restrictions). Some plans allow you to make a withdrawal if you have an immediate and heavy financial need (“hardship”), but this should be a last resort–not only is a hardship distribution a taxable event, but you may be suspended from plan participation for six months or more. If your plan allows after-tax (non-Roth) contributions, your plan can let you withdraw these dollars at any time. Employer contributions to 403(b) custodial accounts are subject to similar withdrawal restrictions. 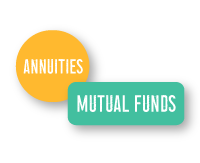 But employer contributions and pre-1989 deferrals to 403(b) annuity contracts are subject to somewhat more lenient distribution rules. Check with your plan administrator for your plan’s specific rules. 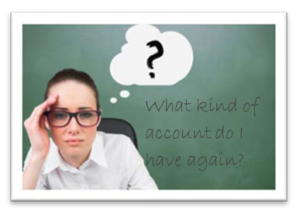 If your plan permits loans, you may be able to borrow up to one-half of your vested 403(b) account balance (to a maximum of $50,000) if you need the money. If your employer offers 403(b)s from various vendors, you may be able to transfer your assets from one contract to another while you’re still employed. 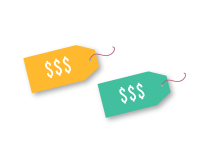 This can be helpful if you’re dissatisfied with a particular vendor’s investment offerings. 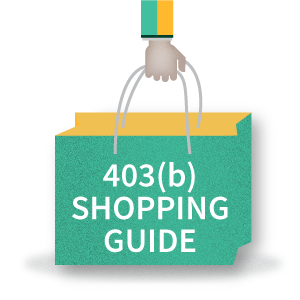 Your 403(b) account is fully protected from creditors under federal law in the event of your bankruptcy. If your plan is covered by ERISA, then your account is generally protected from all of your creditors’ claims. (1) If you have both a traditional IRA and a Roth IRA, your combined contributions to both cannot exceed $5,500 ($6,500 if age 50 or older) in 2017. (2) When considering a rollover, to either an IRA or to another employer’s retirement plan, you should consider carefully the investment options, fees and expenses, services, ability to make penalty-free withdrawals, degree of creditor protection, and distribution requirements associated with each option.